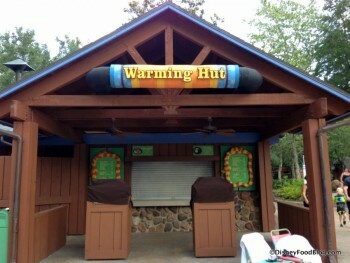 The Warming Hut is a seasonally open Counter Service stop at Blizzard Beach Water Park. If it’s open on your trip, it’s worth a stop to check out the changing options, which are often more interesting that the typical burgers and fries. The Warming Hut operates on peak crowd seasons at Blizzard Beach.